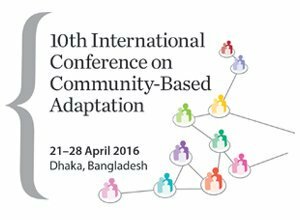 The final day started with a session looking back and reflecting on 10 years of conferences on community-based adaptation and plans for the future. 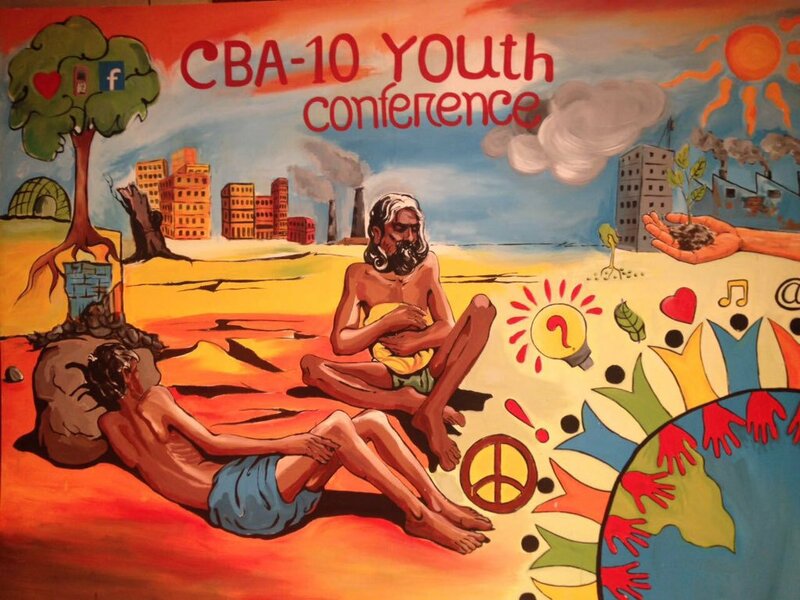 It was announced that CBA11 will take place next year in Uganda. 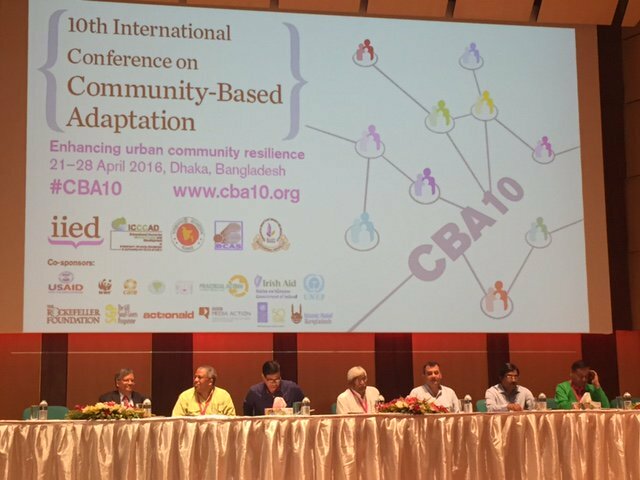 The day began with a specially produced photofilm, illustrating some key quotes and images from all 10 international conferences on community-based adaptation, dating back to January 2005. 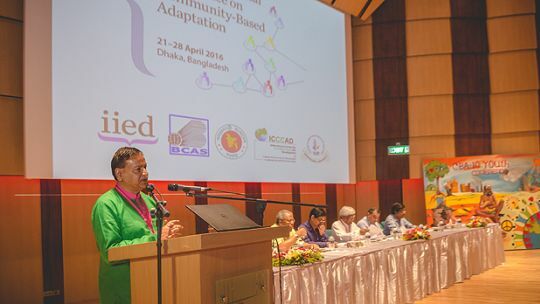 After the film, IIED senior fellow Saleemul Huq, who recently wrote a blog on 10 lessons on community-based adaptation, got things under way. 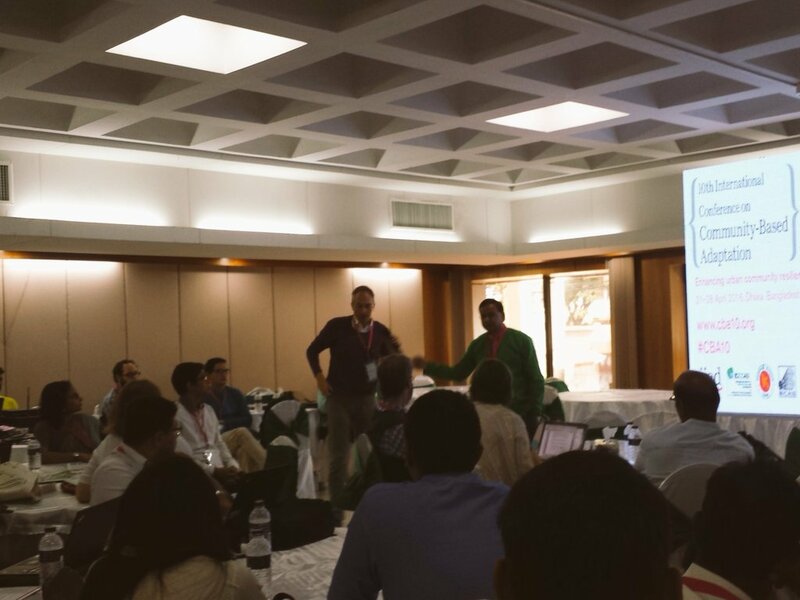 This was followed by a challenging debate on the nature of the 'community' in community-based adaptation, with Terry Cannon of the Institute of Development Studies, arguing for people to think more before using the word. 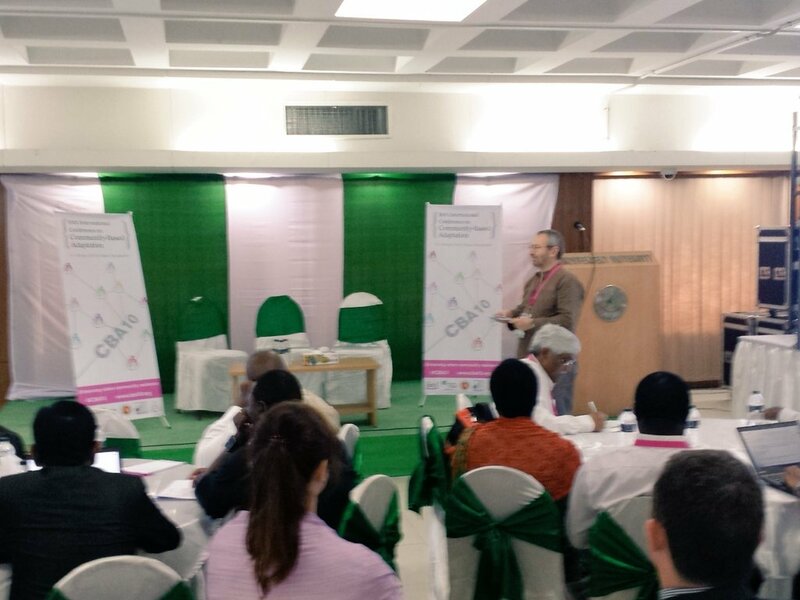 #CBA10 Terry Cannon, IDS: Questioning the depiction of 'community'- much of vulnerability may arise from processes within the community. 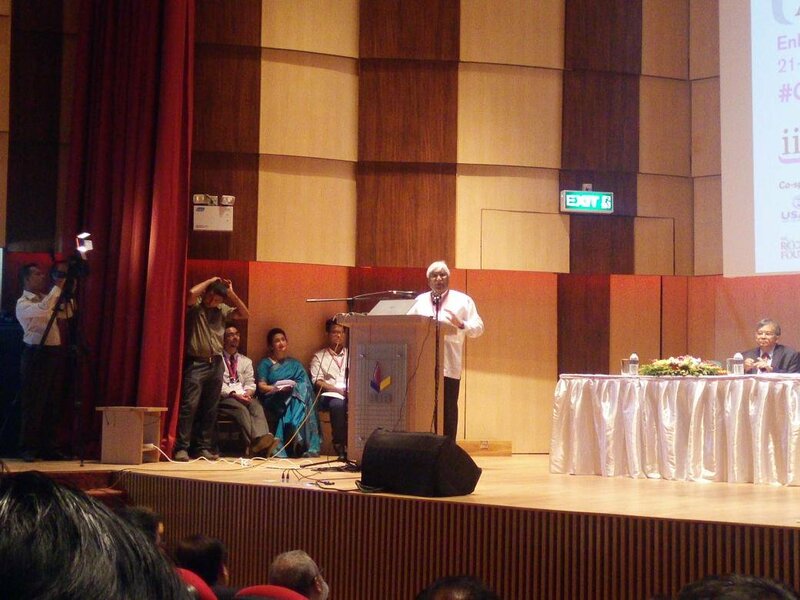 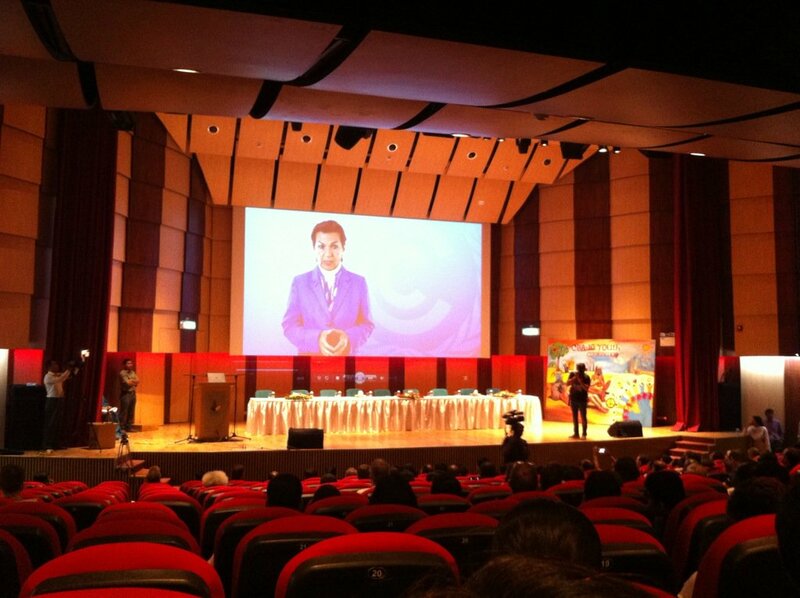 The centrepoint of the closing ceremony was a speech by Huq, who outlined the outcomes from the conference. 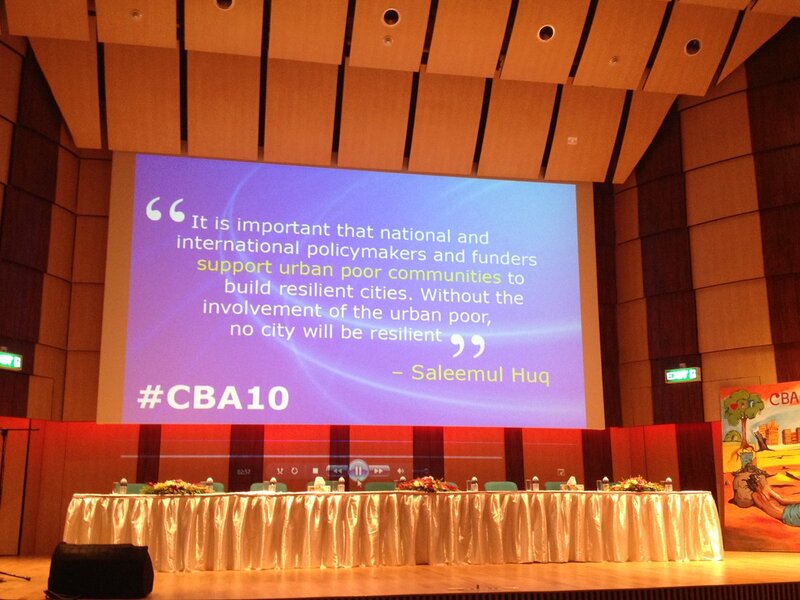 This was followed by a press release calling for governments, NGOs and infrastructure investors to work with urban community federations to mainstream and finance local adaptation.